From our lips to our nose to our ears, the human body can provide us with a plethora of clues when it comes to our health. Our ears are not only instruments of hearing that orchestrate sound waves in our ear canal and ear drum, they can also help us to tune in to serious health issues. If you look and listen closely, the appearance of our ears and what’s inside them provide an ultimate guide to our physical health. The appearance of our outer ear can provide a great wealth of knowledge when it comes to our heart health. A diagonal earlobe crease has been viewed as a potential indicator for coronary artery disease. A 1989 study published in the British Heart Journal found in over 300 bodies, the diagonal creases were associated with cardiovascular causes of death in men and women after age, height, and diabetes had been controlled for. 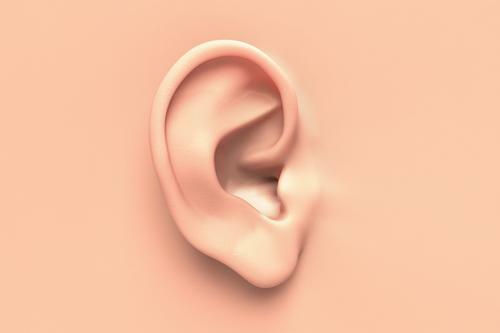 Although researchers still remain unsure about how these two are connected, they suggest visible changes that are seen in tiny blood vessels of the ear could mimic similar changes in the blood vessels that cannot be seen around the heart. Earlobe creases can also be a characteristic of Beckwith-Wiedemann syndrome. This condition affects many parts of the body and is classified as an overgrowth syndrome. According to the Genetics Home Reference, infants who are affected are considerably larger than normal and continue to grow and gain weight at an unusual rate during childhood. It’s important to remember that having wet ear wax or strong smelly armpits does not mean a woman is bound to be diagnosed with breast cancer. The study suggests it is one factor that increases breast cancer risk. This risk may be present if it’s in tandem with something else, such as environmental factors. Our ears can flare up in the heat of the moment and turn scorching red. However, red, flushed ears unrelated to bad tempers could indicate an adrenal insufficiency. The adrenal glands, which sit on top of your kidneys, are responsible for secreting the hormone adrenaline, which prepares the body to react in a stressful situation, says Medline Plus. An adrenal insufficiency could result in extremely low blood pressure (hypotension), weight loss, and kidney failure, among other health ailments. Red ears are a characteristic of adrenal fatigue. Red ears could also be a sign of Red Ear Syndrome. This condition is characterized by one or both ears becoming extremely red and hot to the touch, with the appearance of the redness occurring in a matter of seconds, according to a 2013 article published in The Journal of Headache and Pain. The disorder is very rare, with approximately 100 published cases in medical literature. A persistent ringing, whistling, buzzing, chirping, hissing, humming, roaring or even shrieking noise in the ears is commonly associated with the condition tinnitus. According to the Harvard Medical School Harvard Health Publications, the sound can come from one ear or both, from inside the head, or from a distance. Short-lived tinnitus can be induced by attending a loud concert or sporting event. However, if the symptoms last more than six months, this is a sign of chronic tinnitus. This condition rarely means you are going deaf or have a more serious health problem. Remember to keep your eyes open regarding your ears to learn about your state of health.